The artist, born in Waukesha, Wisconsin, began writing and performing at an early age, tinkering around on his father’s guitar and experimenting with songwriting. He released his debut album, “All Seasons” in 2016 and immediately hit the tour circuit to bring the music to audiences from coast to coast. 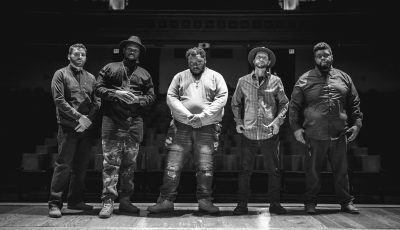 He’s performed over 300 shows and already has a multitude of accolades under his belt including being named the Shepherd Express 2017 “Best of Milwaukee” winner for “Best Acoustic Musician” and a Wisconsin Area Music Industry nomination for “Best New Artist” in 2016. He spent most of 2018 writing and recording the songs that comprise “Love, Future You” with producer Bill Lefler (Ingrid Michaelson, Cary Brothers, Joshua Radin) and co-writers Kyler England and Garrison Starr. The collection of songs is powerhouse pop perfection that will have listeners hitting repeat again and again. The title track and first single, “Love, Future You” is a love letter from your future self, reminding you that everything is going to be okay. It’s equal parts Snow Patrol and Shawn Mendes with a hooky chorus that simmers with hopeful exuberance wrapped in layered harmonious vocals. This first single is a standout introduction to an artist that carefully crafts each and every word into an unforgettable story. Next up is the banging “Sunup to Sundown,” an uplifting reminder that there’s positivity everywhere if only you look for it. Sunshine is packed into the bright, synthy chorus, a throwback to the summer fueled pop tracks of the 1990’s. 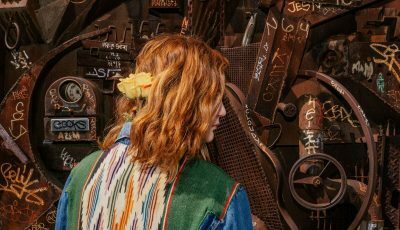 Things slow down on “Breakdown, Breakthrough,” written for the dreamers of the world, it reflects on the pressure and pitfalls of chasing after what you want. Sallmann reminds us all to keep pushing through with a soft, atmospheric melody that reverberates until the very last chord. On “T-Shirt Weather,” Sallmann takes listeners on a tropical vacation through a hand clap chorus and unforgettable melody. A quirky, upbeat ode to spring weather, it will make you wish for those bright sunny days even when you’re living them. The final track, “Feels Like Home,” is an anthem for outsiders and outliers. Produced by Indie Pop duo The Highfields, it surges with electric energy and impresses with a soaring chorus. It’s an inspiring look into the power of community and creative togetherness. 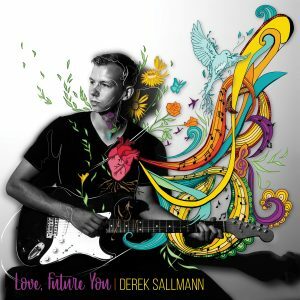 On his new EP, “Love, Future You,” Derek Sallmann presents one unforgettable pop experience after another that lingers in your mind long after you stop listening. Thanks for taking the time to talk with me! I’m doing well. It’s been snowy and cold here in Wisconsin, so I’ve been staying warm inside for the past couple of days. I would love to be able to release more music this year and to continue to play at my favorite festivals and fairs around the area. One of my resolutions, that I started about a month earlier was to continue doing my vocal exercises daily. They can become super repetitive, but definitely help, and I’m focusing on putting more importance on them. I was always around music because my parents are both musicians but didn’t become too involved with music until I was 13 and I asked my dad to teach me some guitar chords. He drew little diagrams on post-it notes and I remember being so excited to come home from middle school and play an E-chord. When I started hearing bands like “Matchbox Twenty” and “Santana” that was when I knew I wanted to be a musician. 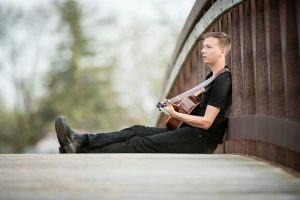 I was a biology major at Wisconsin Lutheran College, and I commuted so I was able to spend more time performing while I was getting my degree. To be honest, I’ve always been interested in a lot of different things. At this time I think it’s easier to be involved in multiple passions at once, and I could definitely see myself as a teacher/conservationist/musician. The biggest surprise for me has probably been how much of it is about numbers and persistence. For every success you see, there are a certain number of rejections that came before it. Nothing really happens overnight or very easily. For the most part, everything is earned. The idea behind that isn’t super surprising, but actually experiencing the extreme highs and lows first hand is new to me. The weather here in Wisconsin has definitely influenced some of my songs. Specifically, “T-Shirt Weather” is about how great it feels when spring is here and the snow melts. For me, that’s one of the most exciting times of the year. 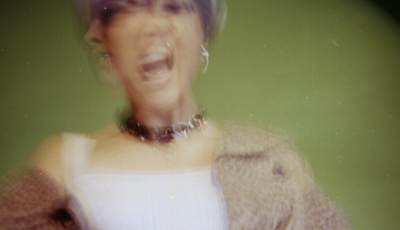 What did it feel like releasing your EP, “Love, Future You”? How did you celebrate the release? While it’s difficult, can you pick a few of your favorite songs on this collection and talk about their inspiration and how they got to be on this EP of yours? It felt good to have the songs finally be out there. I’m planning a “physical cd release party” at the moment for February where people will have a chance to buy a physical CD and that’s when the main celebration will happen. Two of my favorite songs are “Love, Future You” and “Breakdown, Breakthrough”. “Love, Future You”, which I wrote with Kyler England, was inspired by a really bad breakup I was part of and it was a song I really needed to write. 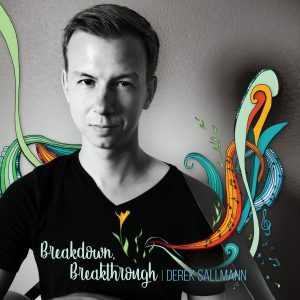 Breakdown, Breakthrough” I wrote with my friend Garrison Starr and it was really inspired by the struggles of being a musician and feeling like it’s always two steps forward and one step back. How would you say that you have grown as an artist over the years and since your 2016 debut album, “All Seasons”? How has your song writing process changed since then? I think my writing style has change from being individualistic to more collaborative and I think my themes have evolved over time. “All Seasons” was mostly composed of heartbreak songs, whereas “Love, Future You” spans a variety of different topics. My process is also a little more direct, and there’s more “brainstorming” involved than there used to be. I used to just write when I felt inspired, but now I’m more able to “write on command”. I wrote over 60 songs before picking the final songs to put on the EP. It’s fairly new territory for musicians to have to keep up with all these different platforms that keep changing. It can definitely be frustrating when you feel like you master a social media site and they change how many people see your posts. As a result of the constant changes, I prefer sending updates to my email list. Those are some of my most dedicated fans and I like being able to send a letter to them, directly to their inbox. 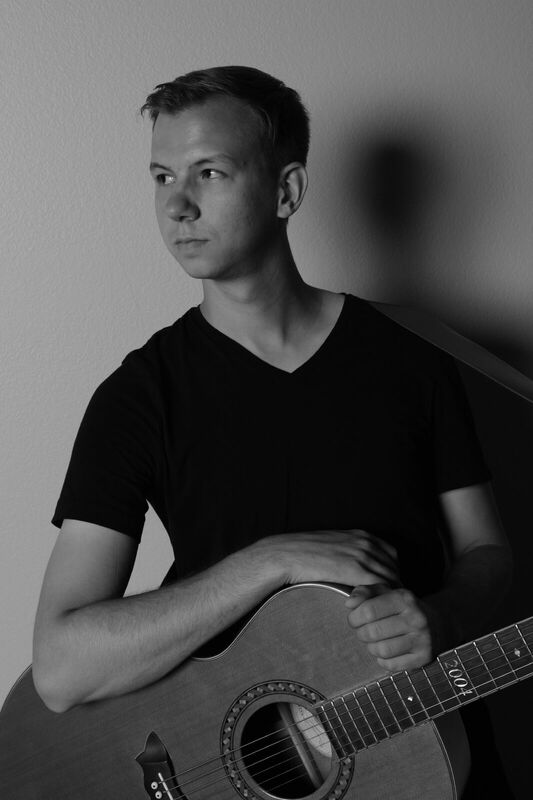 Some of my inspirations that I would love to work with are Andy Grammer, Dan Croll, Hunter Hayes, Ed Sheeran, John Mayer, Rob Thomas, Charlie Puth, Julia Michaels, Shawn Mendes, and Third Eye Blind. Definitely my guitar. I love playing and I feel like it never gets old. There’s always so much to learn and so many new skills to work on. I love the movie “The Big Year”. My brother and I are huge “birders” and that movie had a great soundtrack and was a huge inspiration for me, so I would have to say that one. One of my favorites was a full band show at Summerfest in 2017 because it was a dream of mine to play on one of the main Summerfest stages. I always have a great time playing at Bastille Days in Milwaukee as well. For me, an ideal show is when the crowd is really engaged and it’s a give and take between the crowd and performer. When both the crowd and performers feel heard and understood then everyone wins. I hope they feel a little bit better about life and themselves. I think good songs will stand the test of time and still be applicable years later. Great songs don’t have an expiration date. 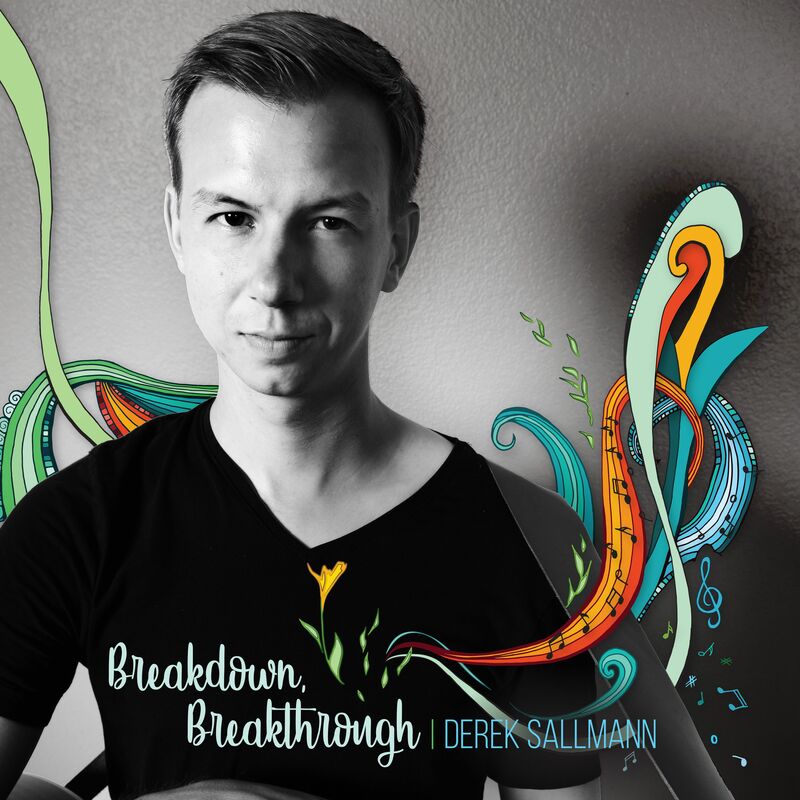 I have a new music video out for “Breakdown, Breakthrough” that you can view here! Make sure to check out the full EP and let me know which song is your favorite 😊 Thanks!